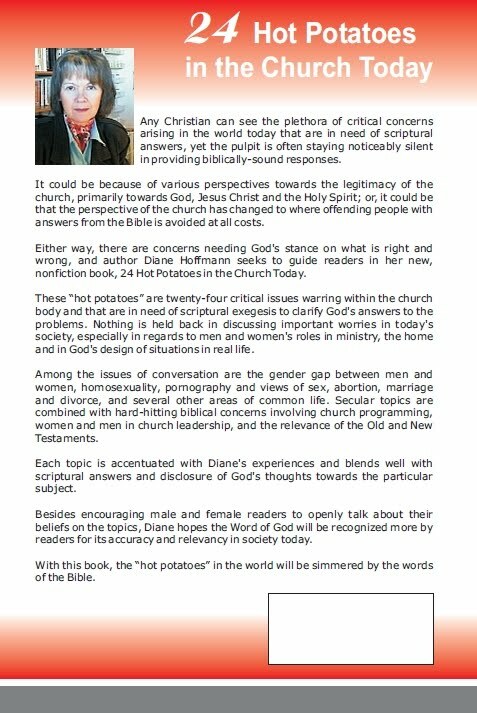 Scriptural answers to critical issues in the church today affecting both men and women. by Diane M. Hoffmann, Ph.D.
A lot of preachers out there, everywhere, are referring to the scripture in Genesis 2:18, as the woman being a "helpmate" to the man in marriage. I hear this all the time, yet that is not what the Word of God says at all. Now that is not to say that a man and woman in marriage are not to help one another. The term "help meet" in Genesis has been misrepresented by most preachers and teachers of the Word of God. They usually refer to the term as either a "helpmate" or a "helper". By saying that, those people only show their lack of research in the interpretation or their study of the Bible. In this scripture of Genesis 2:18, the word "help meet" (two words) refers to the delivering of man from his "being alone". The words "help meet" are translated from the Greek as "ezer". It is used also in several other scriptures. in Exodus 18:4, "And the name of the other was Eliezer; for the God of my father, said he, was my help (ezer) and delivered me from the sword of Pharaoh". "And this is the blessing of Judah: and he said, Hear, Lord, the voice of Judah, and bring him unto his people: let his hands be sufficient for him; and you be a help (ezer) to him from his enemies . . . "
"There is none like unto the God of Jeshurun, who rides upon the heaven in your help" (ezer) . . .
"Happy are you, O Israel: who is like unto you, O people saved by the Lord, the shield of your help" (ezer). and there are many other examples throughout the Bible. God is not a helpmate or a helper as it is being wrongly preached and taught. He is a deliverer of certain situations. It means the woman was brought to man by God as a deliverer of the situation of the man being alone. 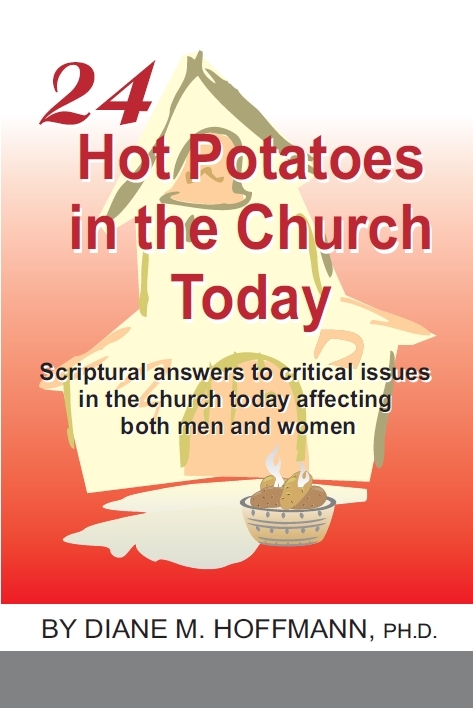 Read more about this, in the book "24 Hot Potatoes in the Church Today" under the "About the Book" tab above or the download of this one topic under the tab "PDF Downloads" above. May the Lord bless His words to your hearts this morning. . . In 1844, a man by the name of Charles Goodyear -- after whose name the Goodyear Tire company was named – was seeking to learn how to keep rubber from becoming soft when warm and brittle when cold. He was an American self-taught chemist and manufacturing engineer who developed vulcanized rubber (for which he received patent number 3633 from the United States Patent Office on June 15, 1844. This unexpected discovery ushered in a new industry called “vulcanizing”, which all happened unexpectedly by accident. Many inventions have come along this way unexpectedly by accident. One of the greatest experience of Jacob’s life was an unexpected meeting with God. While fleeing from his brother Esau, he suddenly found himself in the very sanctuary of God. There, God gave him a promise that he would never forget. This unexpected meeting would bless him for the rest of his days. But, the thrilling thing about knowing Christ is that, often, He reveals Himself to us when we least expect it. He gives us blessings greater than we anticipate. As our minds are stayed on Him, suddenly He is there, with us, and we feel a richness not known by those in the world who don’t know Him. In closing, I would like to read from the book of Numbers, chapter 6:24-26. . . Please note: You will be asked to click again on the link provided there. To buy a copy, please see "About the Book" page. Diane M. Hoffmann(c)2015-2016. Picture Window theme. Powered by Blogger.